Calling All Music Fans: Free Outdoor Concert Series in Raleigh, N.C. The outdoor live music season is underway in Raleigh, N.C., and some of the best outdoor music is free! In downtown Raleigh, the North Hills area and beyond, there&apos;s an awesome selection of live music options to choose from this spring and into the summer. So grab a cold beer, hit up a food truck and enjoy some excellent tunes with friends. The weekly Thurs. evening Midtown Beach Music Series at North Hills is now in its ninth year. The series, which is in full swing for the spring and summer through Aug. 11, attracts lively crowds, with more than 125,000 guests attending throughout the 17-week season and including some of the best shag dancers around. This year’s line-up includes The Tams, The Fantastic Shakers, The Embers featuring Craig Woolard and other popular beach music artists. PineCone, Piedmont Council of Traditional Music, collaborates with the Town of Cary Parks, Recreation and Cultural Resources Department to offer free spring and summer concerts at venues including Sertoma Amphitheatre, Cary Arts Center, Koka Booth Amphitheatre and the Page-Walker Arts and History Center. 2016&apos;s series begins as of May 14 with Mile Twelve appearing at Sertoma Amphitheatre. Other acts scheduled through Aug. include The Honey Dewdrops, Ash Breeze, the Harris Brothers and Charm City Junction. The Page-Walker Center hosts its Starlight Concert Series, starting with polka music on May 20 and featuring a total of five performances in various musical genres through July 29. 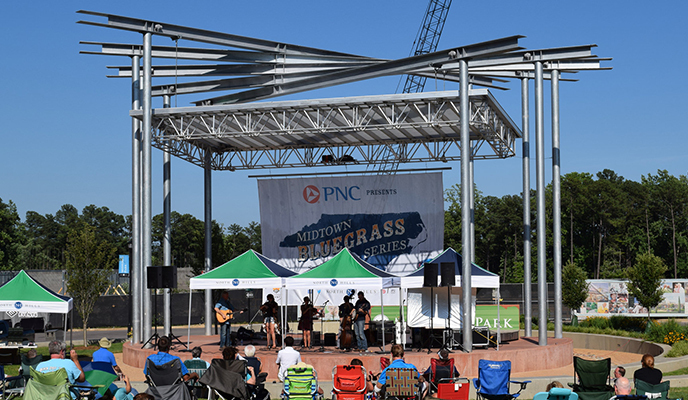 Some of the best bluegrass artists around entertain at this series, May 15 and Sept. 18, 2016, at Midtown Park. And before the bands get started, musicians ages 18 and under who play guitar, fiddle, mandolin, bass or banjo are invited to play together. N.C.&apos;s Lynda and Jamie Dawson facilitate while sharing tips about jamming in the bluegrass tradition. Southern barbecue and local craft beers will be on-hand to make this an opportunity to kick back and unwind. You can also get into the beach music (and beer) vibe with free shows in Fuquay-Varina, just 23 minutes from downtown Raleigh. The FM2FV Concert Series at Centennial Square (at the corner of Academy and S. Main Sts.) starts on Thurs., May 19, at 6:30pm with the popular Band of Oz. On Thurs., June 16, party rockers Hip Pocket take the stage. The free Thurs. 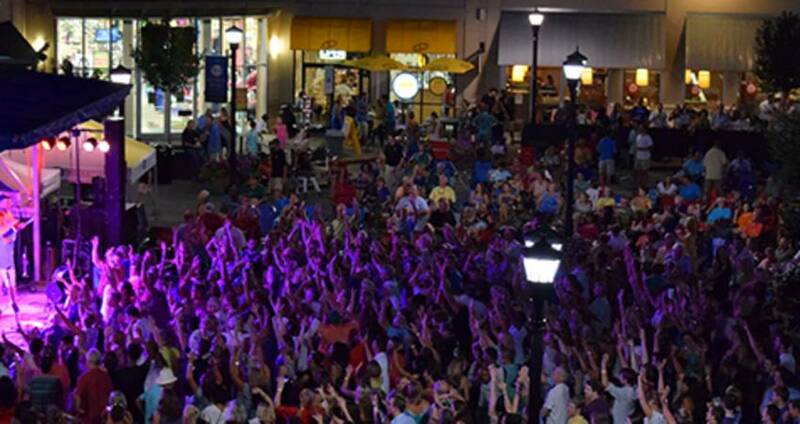 night concert series Oak City 7 rolls back into Raleigh on June 2, starting at 5pm and rocking out until 10:30pm. 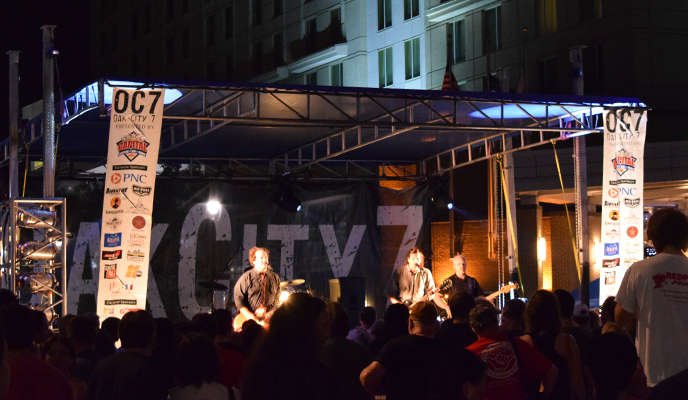 Oak City 7 will focus primarily on N.C.-based acts ranging from rock and pop to hip hop, R&B and straight-up party bands. This downtown tradition takes place at City Plaza on Fayetteville St. and will alternate every Thurs. with Pickin’ in the Plaza, offering authentic N.C. acoustic, Americana and bluegrass music. Oak City 7 and Pickin’ in The Plaza will each feature rotating food trucks and have a variety of local craft beers on the scene. There will be a total of 14 Thurs. night concerts starting on June 2 and ending with the final Pickin&apos; in The Plaza on Sept. 1. Enjoy the weather! Check these concerts out where fun, festivity and great music are served up free of charge. For a complete list of live music events in the Raleigh area, check out themostnc.com. Charles Upchurch is a writer and editor based in Raleigh. When he is not working on behalf of his clients at the award-winning marketing and PR agency French|West|Vaughan, he enjoys contributing to WALTER magazine, covering the amazing people, events and vibrant creative scene that make Raleigh the enriching, energizing, blossoming Southern metropolis that it is.